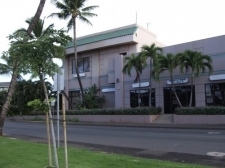 When one thinks of Hawaii, the first thing that comes to his or her mind may be vacation; however, aside from being a hotspot for tourism, the state has a variety of valuable commercial real estate listings. Hawaii is home to almost 1.3 million people, and the state's largest city is the capital Honolulu. When it comes to commercial property in Hawaii, the main industries are sandalwood, whaling, pineapple and sugarcane. A large amount of industrial space is dedicated to the outputs of these products. 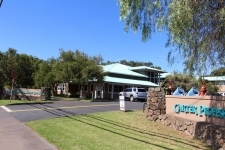 Well-known corporations with headquarters and office space in Hawaii include Dole Food Company, Molokai Coffee, Mauna Loa Macadamia Nuts, and Castle & Cook. Hawaii's capital city Honolulu has an estimated population of over 370,000 and is home to a large percentage of Hawaii commercial real estate listings. Other areas with high populations include Hilo, Kailua and Kaneoche. Tourism is essential to Hawaii's economy. Corporations like Hawaiian Airlines and Outrigger Hotels and Resorts with office space and industrial space in Hawaii reflect that fact. A strong military presence also factors heavily into the state's economy. In 2009, US military spending in Hawaii was $12.2 billion.